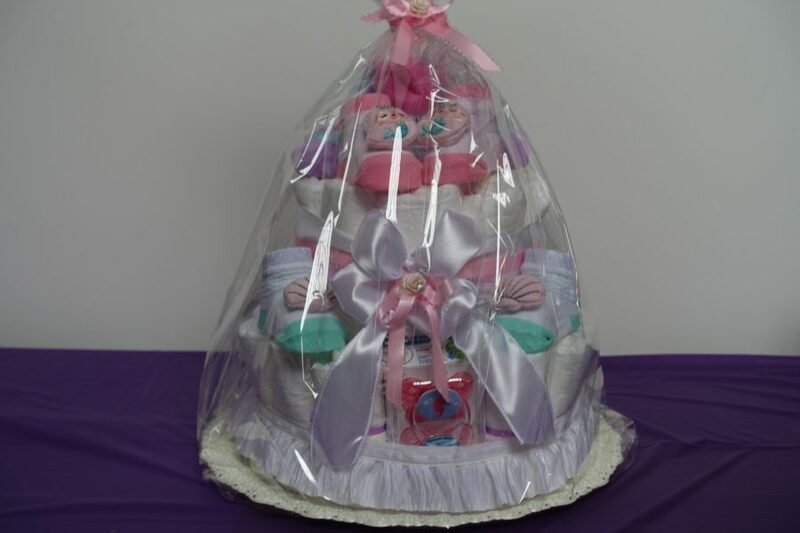 Both of us, grandmas (one addressed as “Abuela” and one as “Baba”) enjoy creating diaper cakes, so of course we made them for this party as well. This is the one I made in a Mermaid Theme, to match the room decor theme of my newest granddaughter, who is getting ready to arrive pretty soon. I used glitter ribbons and tulle to resemble the scales of a mermaid. I also used some wooden puzzle pieces taped to a piece of drinking straw and strategically placed in-between the folded diapers. These puzzle pieces belong to an actual puzzle, which I purchased for the girls to play with, so I did not use any adhesive to prevent them from getting damaged. 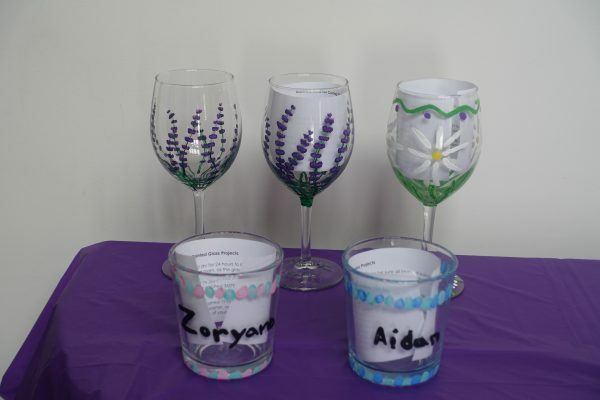 Same process was used for the bath toys. 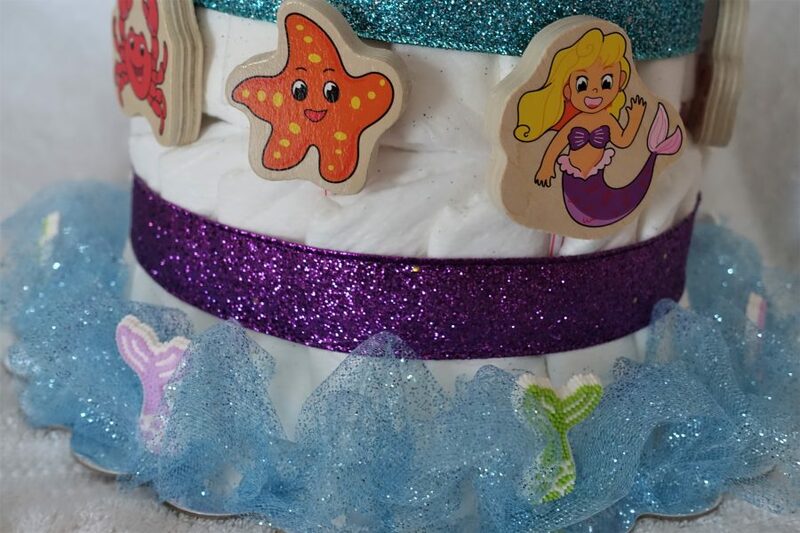 I was lucky to find a soft mermaid doll in a correct size, to use as the cake topper. The teal color tulle supposed to resemble the ocean waves, from which the mermaid tails are protruding playfully. 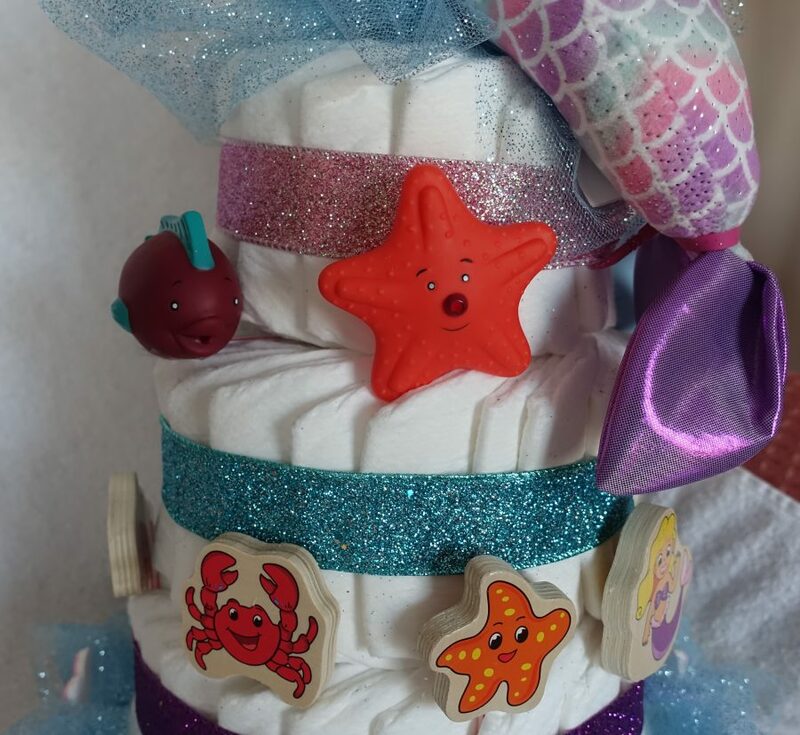 The second layer displays some of the bath toys….and the glittery ribbon is in teal color to match the mermaid topper. 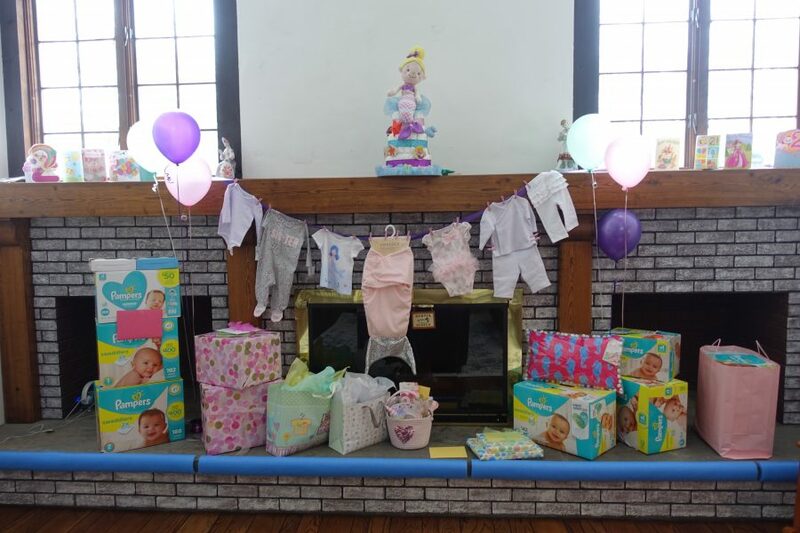 The other grandma (better know as “Abuela”), created this fancy diaper cake, and decorated it with all different types of mermaid baby socks and other cute baby items. 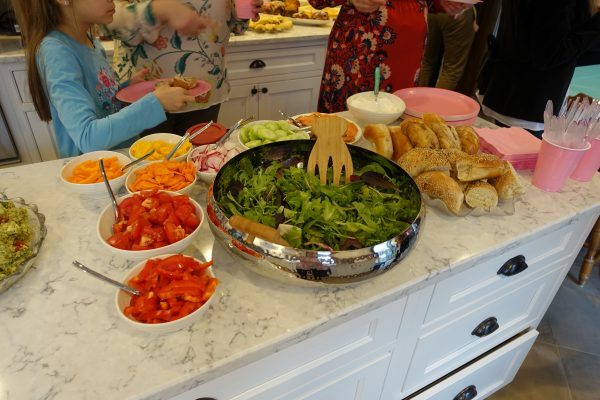 I love the pretty bow she selected for the middle layer of this cake. 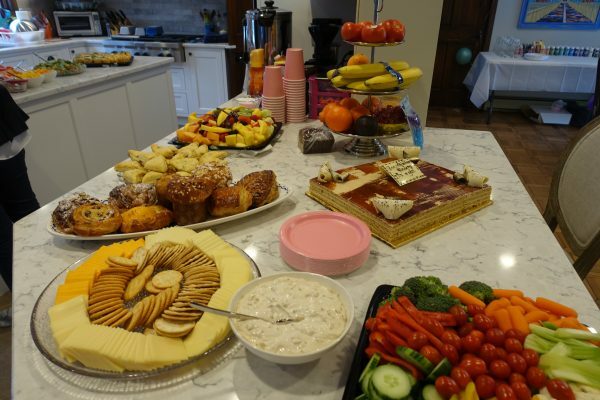 This was a Brunch Party, so we had all kinds of breakfast/lunch foods to snack on. 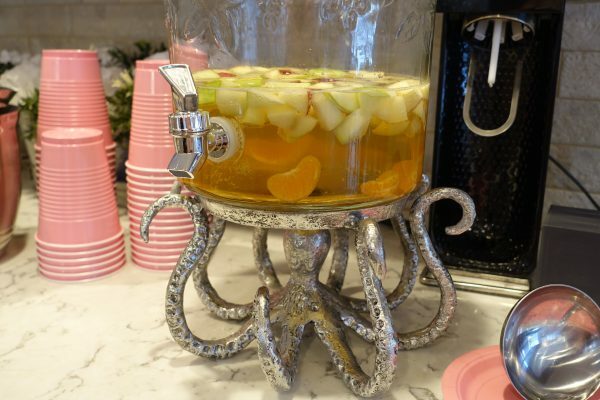 To wash down this delicious food, we had a selection of the traditional breakfast beverages, as well as refreshing Mimosa and Sangria drinks. 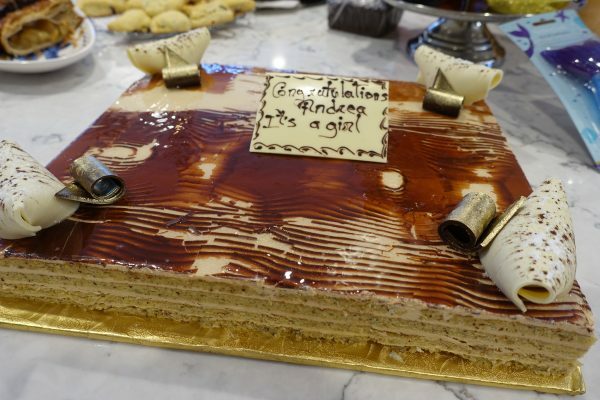 This absolutely decadent cake not only looked superb, it tasted out of this world. 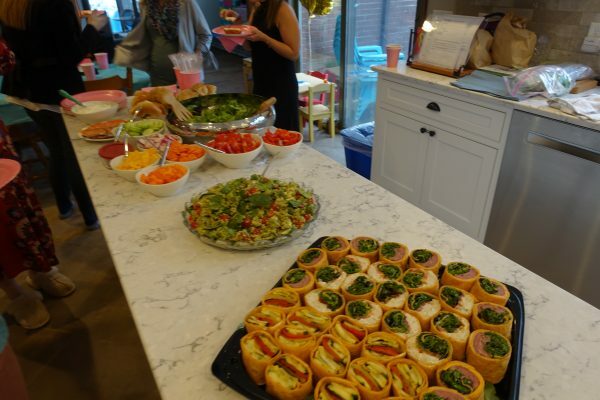 Many of us had seconds…..how could we resist? Don’t you just love the creative chocolate decorations on it….all edible white and dark chocolate….yum. 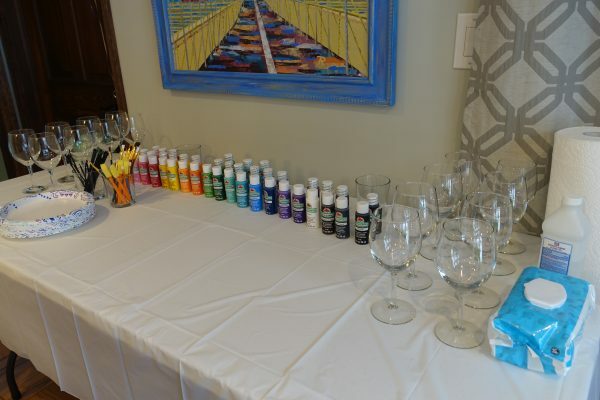 The sister-in-law of the “mommy to be”, coordinated this party, and set up this craft table with clear wine glasses, paints and brushes. 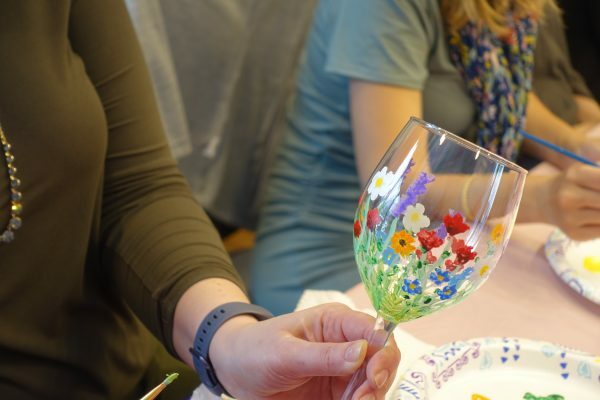 Everyone had a chance to create a design on their own wine glass, and take it home to complete the final step listed in the instructions below. 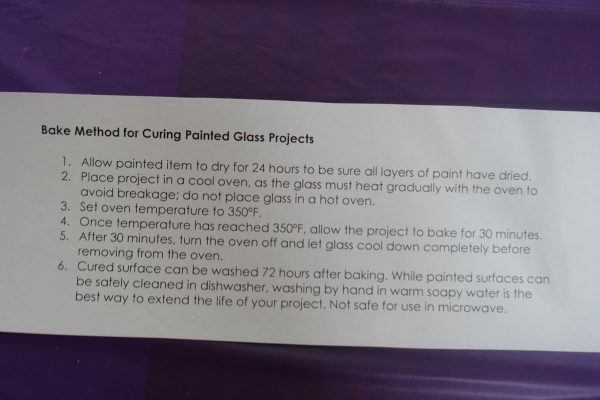 These are the instructions to complete this project. 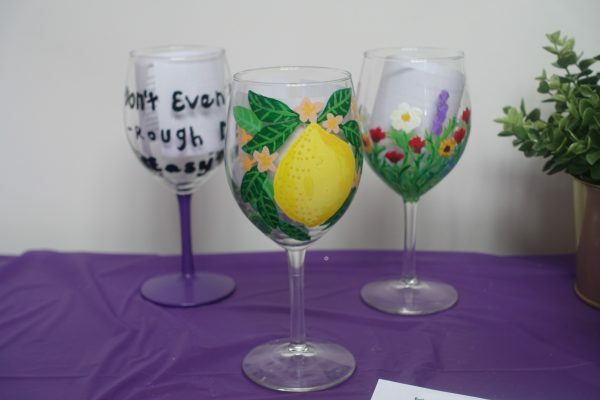 Can you tell how much attention was given to creating our own designs on these glasses. 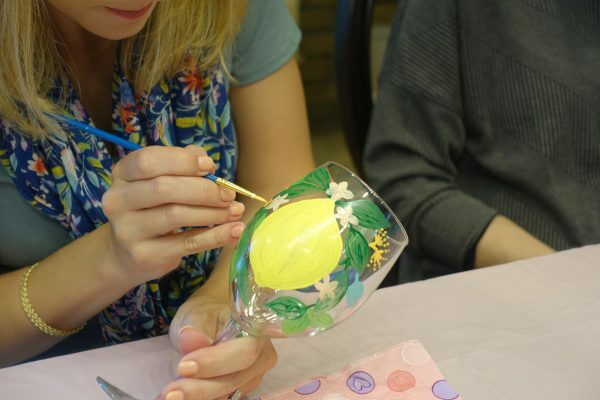 Actually, it is not that easy to use a paint brush on a glass, while holding the glass with one hand, then supporting it and painting with the other one. 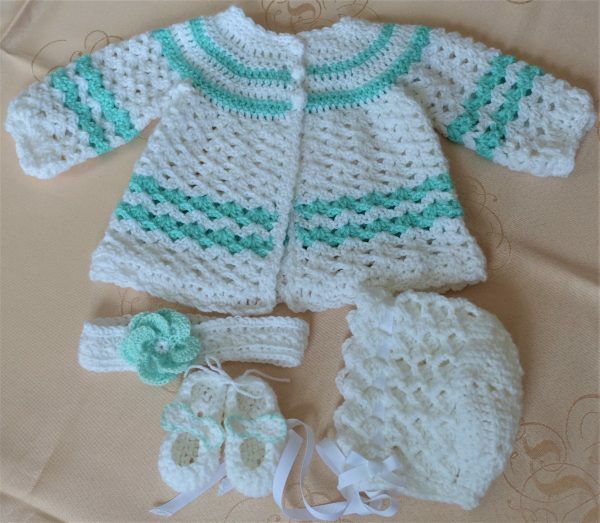 Since I am the grandma who prepared this post, I decided to share my craft project which I completed for this occasion, and gifted it to my youngest granddaughter. I enjoy crocheting and lately U-Tube is my everyday friend who guides me with these lovely projects. If you noticed there is a small blankie next to the baby blanket. 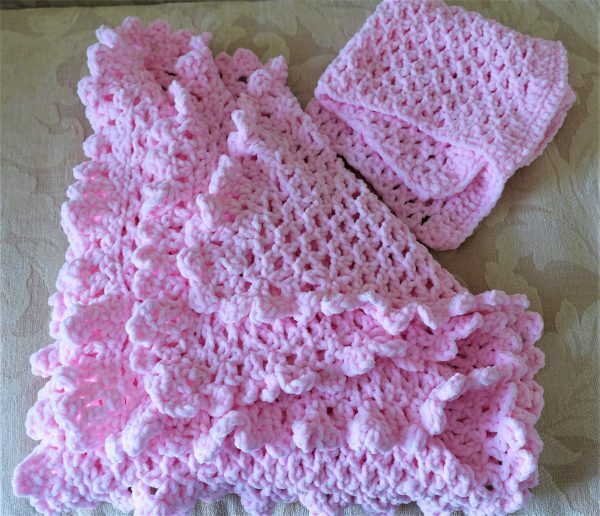 This became my signature item….every time I crochet a baby blanket, I also make a small dolly blankie. So, later on I love watching my granddaughters playing mommy and wrapping these blankies on their dolls. My grandson used his blankie as his security blanket, making it so much easier to handle during travel time.